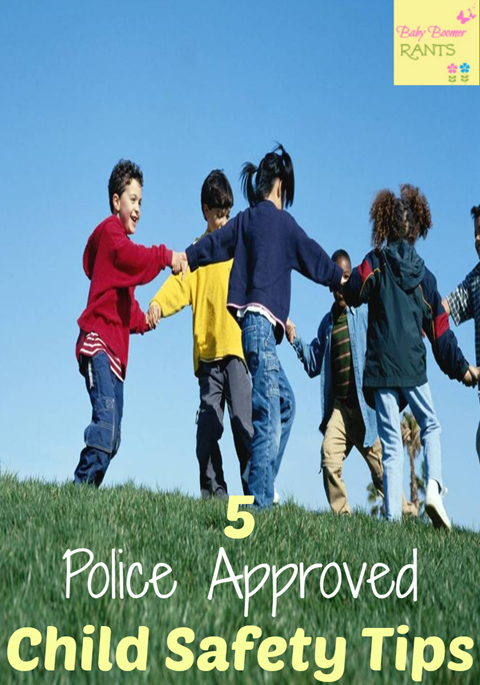 Here are 5 Police Approved Child Safety Tips to help keep your kids safe this summer and beyond. I live in Arlington, Texas which is right between Dallas and Fort Worth where school is out for the summer and so are the kids. Safety is always at the forefront of every parent’s mind, and with summer in full swing and the days getting longer the kids are spending more time outside and at summer pools, playgrounds, and even parades and barbecues. That is what makes summer such a great time of year and makes memories they will cherish their whole lives, so we want to make sure they are safe during this time, too. I remember as a kid there were so many things I could do with no worries that I couldn’t let my kids do when they were growing up. Even now, there is less my grandkids can do than I let my kids do. School is out and our kids are out enjoying their summer. Parents let’s take a few minutes to talk to our kids about safety, here are a few tips to go over with them…. • Teach your child their home address and telephone numbers and review this information regularly. • Explain to your child that strangers are people they do not know. Strangers can be men, women, boys, girls, and even babies. Of course, not all strangers are bad, but it is difficult, if not impossible to determine a good stranger from a bad one. Remind your child that they should not take walks or rides with a stranger, and they should not accept gifts, candy, or food from people that they do not know. • Parents should not overlook the possibility of molestation or abduction by known persons. Encourage your child to talk about their feelings, and really listen to the child’s fears and concerns about people you know. • As a parent, set good examples for your child by not opening your door to people that you do not know. Use the peephole to preview outside before opening the door. Talk to strangers through a closed, locked door. • Place 9-1-1 stickers on every telephone in your home. Explain to children that emergencies are situations where someone could get hurt or are already hurt. Your 9-1-1 call is answered by a highly trained person who will assist with police, fire, and medical emergencies. They also offered this great little booklet you can print out and use for each of your kids in the case of an emergency. They suggest updating it yearly. This is all really great advice. I think the hardest one is practicing good behavior to set an example. Not opening the door for strangers and always using a peep hole would be a hard habit to re learn as an adult.